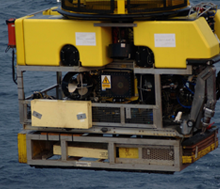 The financing package is dealt with independently of Subsea International and is offered on a case-by-case basis. In essence, you wish to buy equipment from us but the impact on your cashflow is too great, then Ashwood Partnerships will discuss with you how to solve the problem. With our ethos of Business first, funding second we evaluate every funding solution from a Business perspective. With extensive practical and commercial experience of the Maritime, Offshore, Subsea, O&G and Renewable sectors we understand the equipment, technologies, operating environment and supply chain challenges". Subsea International Ltd provide a wide range of equipment to meet your subsea or surface needs selected from our worldwide supply chain.